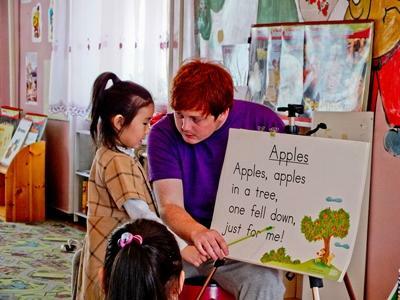 You don’t need any prior teaching experience or TEFL qualifications to teach English in Mongolia with Projects Abroad. All we ask is that you have a good level of spoken English and the energy and enthusiasm to work in the classrooms of the most remote capital city in the world. 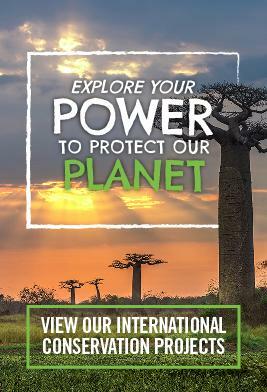 Whether you want to volunteer as an English teacher during your gap year, career break or during an extended holiday, you will have an important role to play on a placement in one of the schools in which we work. The impact you have on your students will be obvious as they start to develop their language abilities. You will also be part of a much larger network of volunteers, which is making a positive and on-going contribution to the wider community. 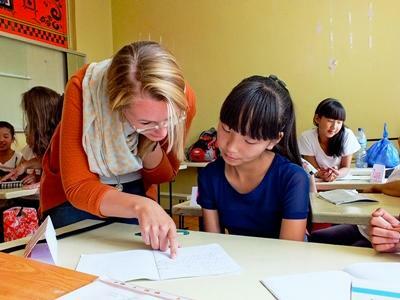 Volunteer teaching in Mongolia is an ideal way to help at some of the most poorly resourced schools in Mongolia's capital - Ulaanbaatar. The Mongolian government plans to increase its economic trade with neighbouring countries to improve high unemployment levels after years of slow economic growth and debt. With this in mind, the hard-pressed schools desperately need native English speakers to help give the children a better chance to move the country forward. Volunteers will have the option of teaching disabled adults between the ages of 18 and 25 at a special needs centre. This is not a full-time placement, and it can only be done in addition to teaching at a kindergarten or school. Volunteers can also teach business professionals and government workers. Language classes are expensive and local organisations are often unable to afford the English classes that staff need. This is not a full-time placement, and it can only be done in addition to teaching at a kindergarten or school. Volunteers will also have the option to teach at a university. However, volunteers can only teach Japanese at universities. When you arrive at your school in the capital city of Ulaanbaatar, don't be surprised if you find an old "communist-style" concrete structure with basic, clean but purely functional facilities. The stark buildings certainly don't reflect the welcoming nature of the people within. Our Projects Abroad Mongolia staff will introduce you to a friendly supervisor, usually one of the English teachers at the school, and then to lots of enthusiastic students. They are unlikely to have had a great deal of contact with Western people in the past and you may well find you rapidly become something of a celebrity. Volunteers who have placements in secondary schools teach children between the ages of roughly 12 and 17. Those who work in language centres during the summer holidays could be teaching groups of young teenagers and adults. The average class size in a school is between twenty and thirty students and volunteers are expected to work for about four hours per day. In a language centre class, sizes will be much smaller, but you will still be asked to teach a similar number of hours. Your main role as a volunteer teacher is to help the local staff by teaching the conversational elements of their lessons. Although learning English is the aim, many of your lessons will also be opportunities for cultural exchange. Your students are the perfect age to spend English lessons talking about football, current affairs and pop music; find out about what Mongolians really think about fashion or whether they celebrate Christmas. The exchange works both ways because teenagers in Mongolia are generally curious to find out what life is like in the West. Sandwiched between China and Russia, you will find their perception of life outside the vastness of Asia is interesting to say the least. Answering your questions will increase their confidence, and before long you will realise you have made some new friends. Pupils will be delighted if you can develop their language skills by incorporating music, games or drama into your lessons. Previous volunteers have also taught maths, geography and sports. Please let us know what skills you have when you apply and we will try our best to use them on our placements. You can also work with younger children on the nursery placements we have available. Teaching volunteers receive regular workshops providing a greater understanding of the educational system in Mongolia and to assist volunteers at their placements. We also organise regular community based outreaches for volunteers to be involved with. During the summer holidays in July and August volunteers run a Projects Abroad summer camp at a school in Ulaanbaatar. Volunteers are responsible for planning and leading fun, interactive classes. There may also be the opportunity to spend time at a summer camp in the countryside outside of Ulaanbaatar. You can read more detailed information about the aims of the project in our Mongolia Teaching Management Plan. Interested in other volunteering opportunities? What about teaching in Nepal?